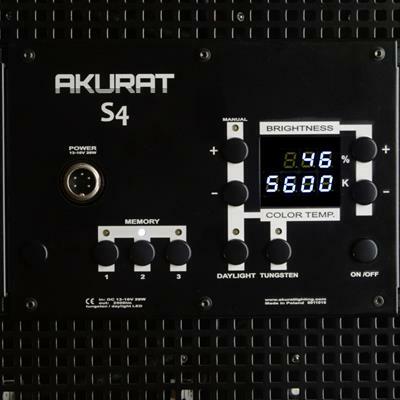 S4d Daylight - a LED panel - aluminium - with replaceable optics. 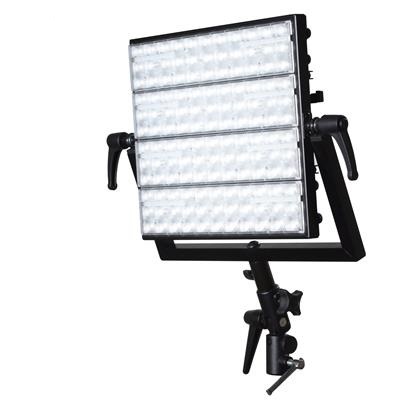 CRI 95 (V-WHITE version: 98) with 60 Degree Lenses, AC Adapter. For studios, reporters and chromakey. This 30 × 26 cm aluminium illuminator is equipped with highly efficient high-CRI SMD (surface-mounted) LEDs and replaceable optics. Its optical system consists of 4 sets of TIR (total internal reflection) lenses that affect the two basic photometric parameters of the device: light beam angle and maximum attainable lighting intensity.